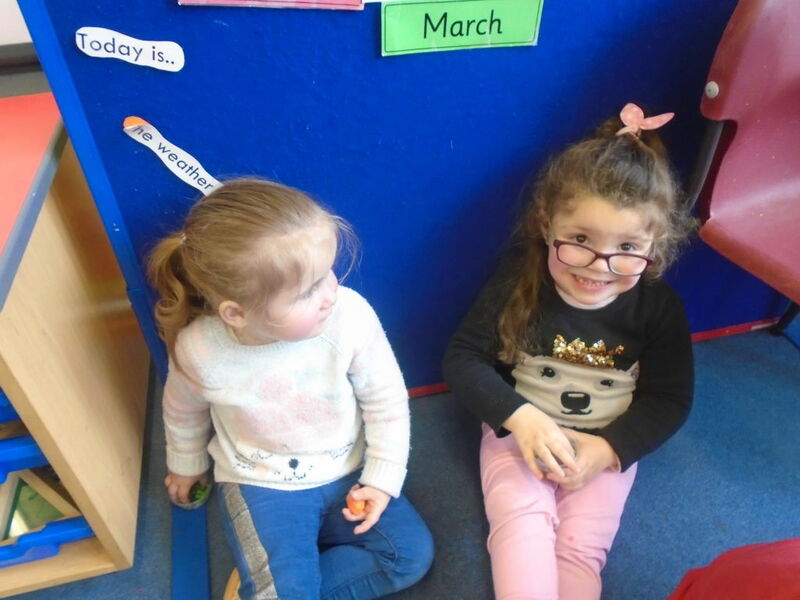 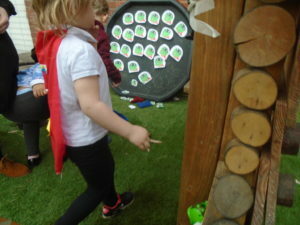 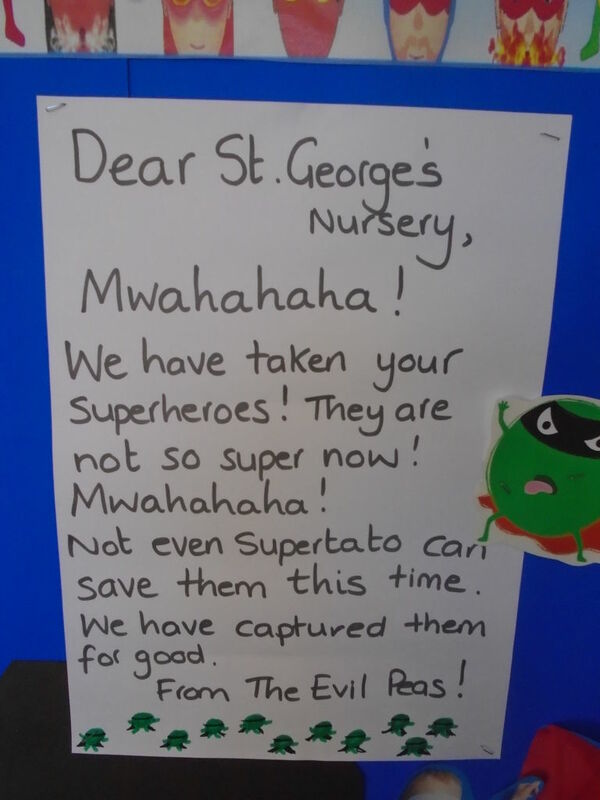 For the past 2 weeks nursery have been superheroes. 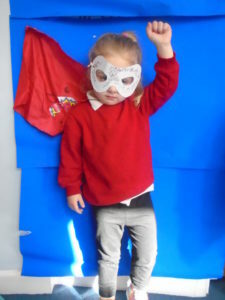 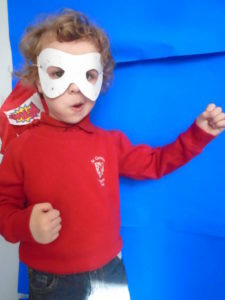 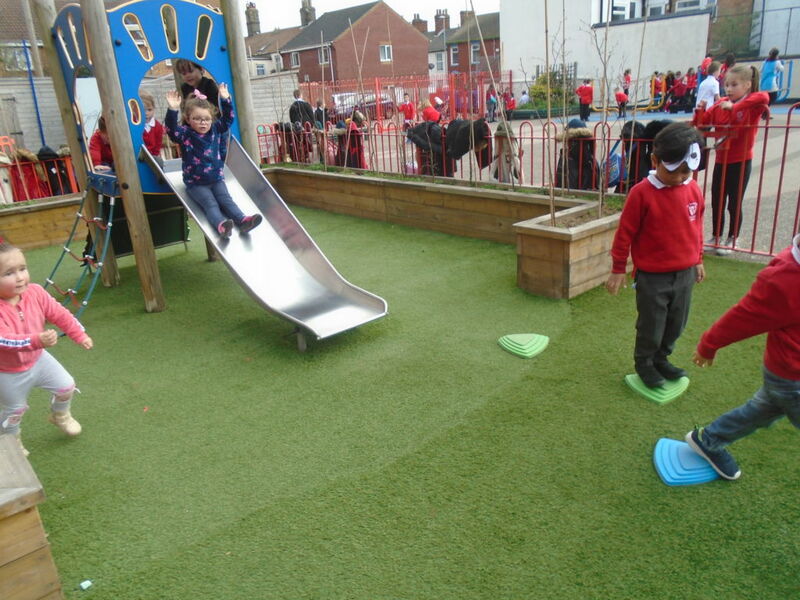 We made our own costumes, capes and masks and we learnt what we need to be a good superhero. 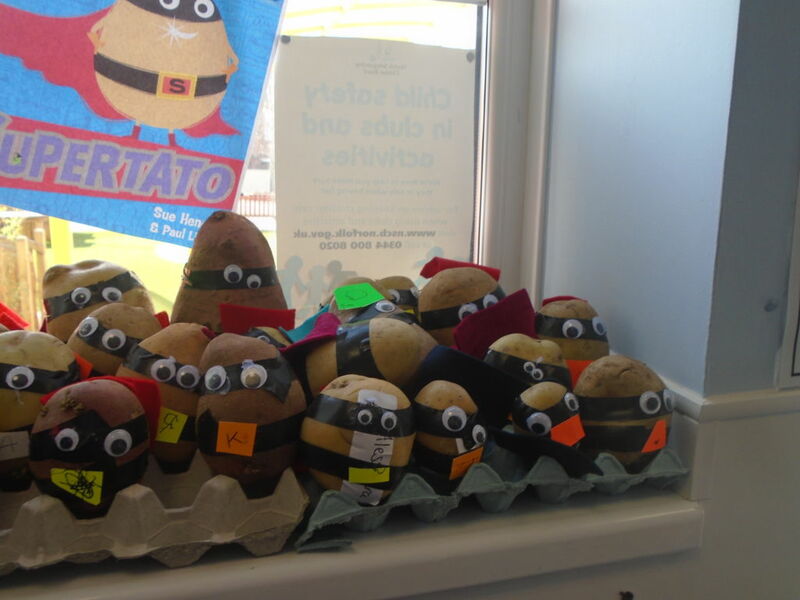 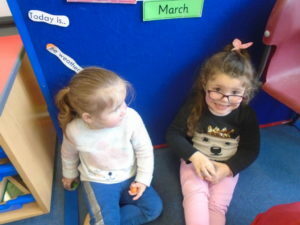 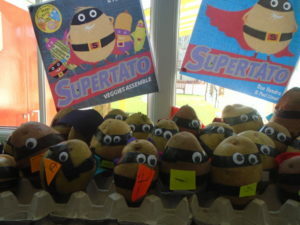 we read the story super potato and made our own. 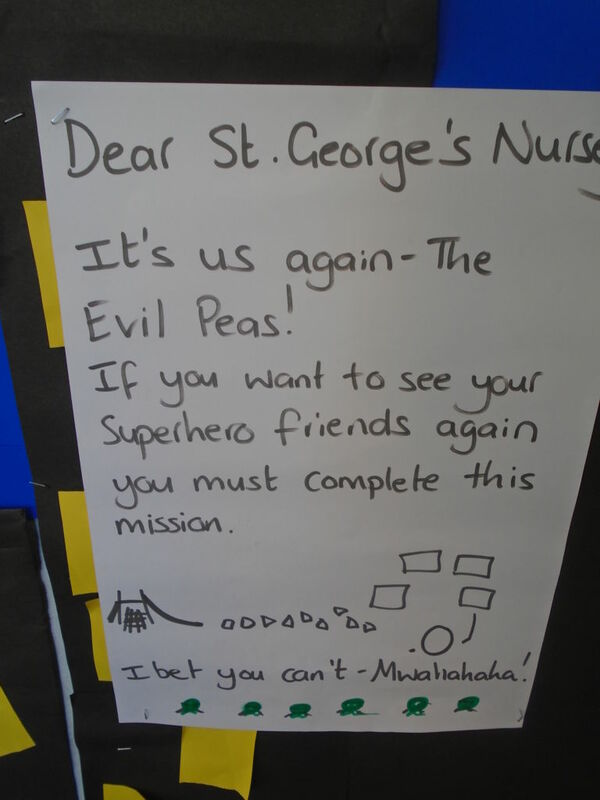 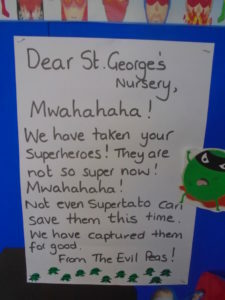 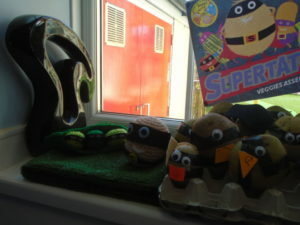 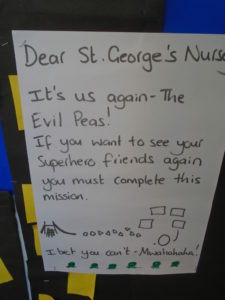 The Evil peas took over classroom and stole our superhero toys. 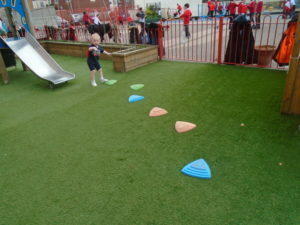 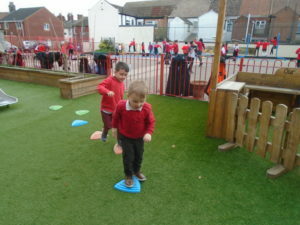 We had to defeat them by using our extra strong muscles and completing the assault course mission. 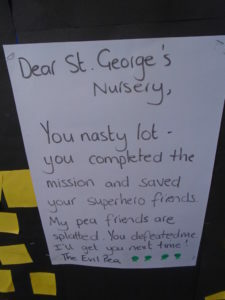 The mission was accomplished and we saved our toys. 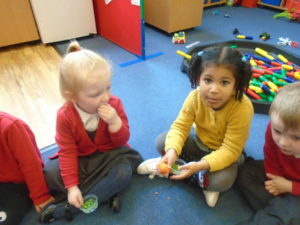 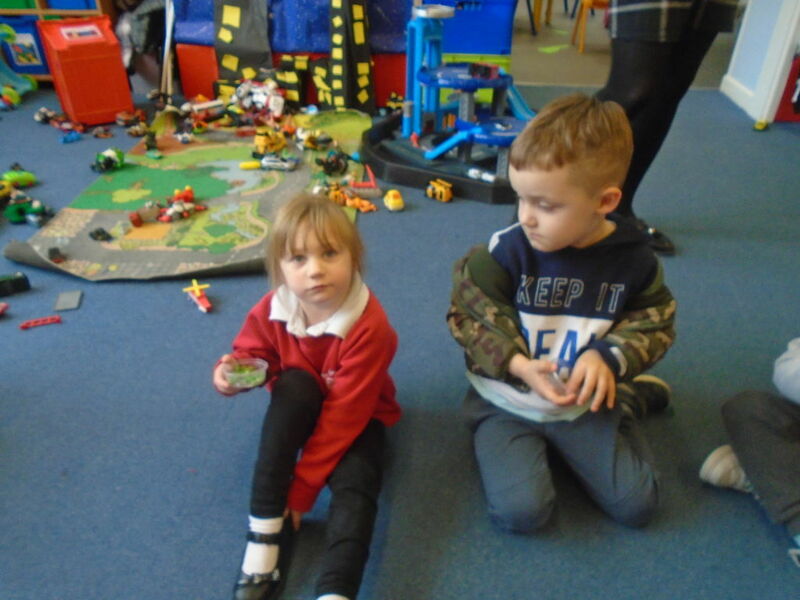 We tasted peas and learnt that they are good for us and make us big and strong. 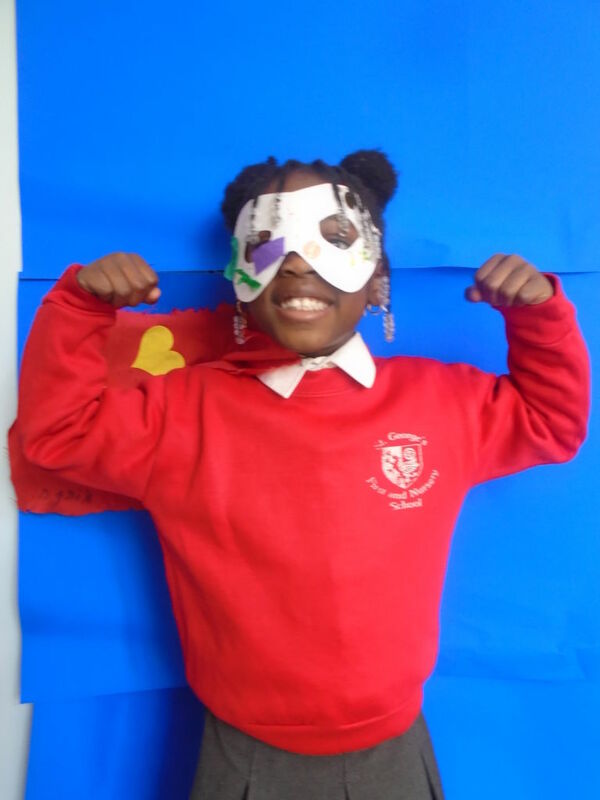 We were all super proud of the children's performances in the school Nativity. Well done St. George's.